Is it true that public services can’t cooperate? 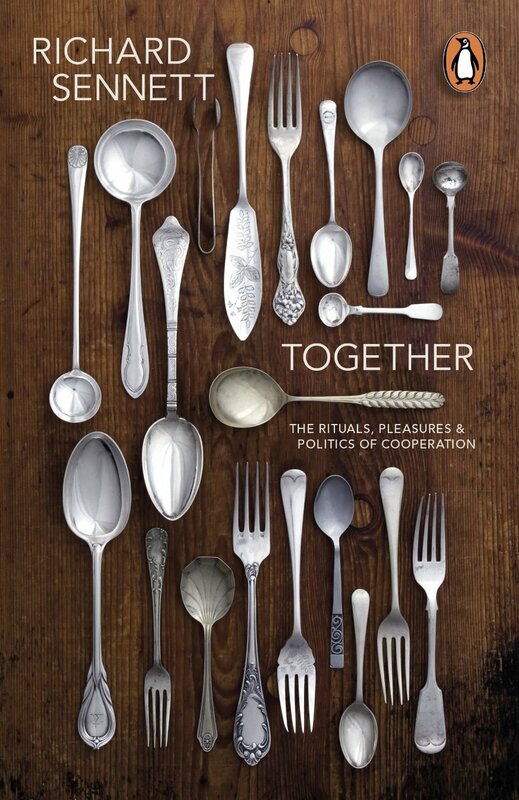 Richard Sennett’s Together: the rituals, pleasures and politics of cooperation (2012) is one of those books that’s so full of acute observations, surprising examples and novel connections that it stays long in the memory and sparks all kinds of thoughts, months after an initial reading. Sennett is a distinguished US ethnographer, but part of the attraction of reading his work stems from his lack of parochialism. He’s lived in Europe for long periods and is interested in a great deal more than sociology: he’s a musician, a published novelist, and in his brilliantly written books he refers constantly to art and craft. Together, the second of a trilogy on ‘the skills people need to sustain everyday life’, ranges over many types of co-operative behaviour, but there are some strange omissions, the most surprising being discussion of the worldwide co-operative movement. Another absentee is cooperation between organisations rather than individuals – a subject that I’ve always found absorbing, theoretically and in practice, especially in the context of public services. I’ve just been reminded about its importance by the publication this week of the report of the Williams Committee on public service governance and delivery in Wales. What’s caught the media’s attention in this report, naturally enough, is its recommendation to halve the number of local authorities in Wales, but in fact its remit is wide and covers the whole of public services (though its treatment of cultural public services is very sketchy indeed, and its only recommendation in the area has already been superseded). The report devotes a lengthy and interesting section (2.87 – 2.128) to ‘collaboration and partnership working’ between public bodies. It recalls the emphasis that early Welsh Assembly governments, following the lead of the Government of Wales Act 1998, placed on collaboration as an alternative to two other ways of pursuing greater efficiency and improved services to the public: expensive restructuring of service providers, and competitive, market solutions of the kind favoured in England. The ‘Making the Connections’ programme (2004) urged organisations to share services and the resources available to provide them, and the Beecham Report, Beyond boundaries (2006) repeated the message, more urgently still. These initiatives certainly resulted in activity, the most visible being the creation of Local Service Boards that brought together individual local authorities with other service providers in the region to investigate and carry out new ways of working in partnership. The Williams report fails to identify any good evaluation of the effectiveness of LSBs, but its conclusion, based on the evidence that exists, is that the results of their efforts are disappointing, as are outcomes for partnership working more generally. It’s proved hard to overcome the complexities of true cooperation and to reconcile partnership aims with the aims of individual participators, administering partnerships is a heavy burden, varying accountabilities are problematic, and there has been far more debate than action. Williams points to similarly poor outcomes in Scotland and comes to the conclusion that cooperation simply does not work as a national solution across Wales. Williams proposes in section 2.106 a number of conditions that need to be fulfilled before there is a reasonable chance of inter-service collaboration bearing fruit. These include initial clarity about the shared aims of partnership and about accountabilities, and the need for commitment at the highest level in each partner. It also suggests reform of the existing LSBs. The report quotes several recent cases of failed attempts to merge particular services across local authority boundaries and is harsh about the failure to merge generic ‘back office’ functions like procurement, legal services and human resource services between authorities: NHS experience shows that this is possible, and Williams, like a World War I general, advocates ‘do it again, try harder’. The report quotes some bodies who blame failures on the Welsh Government, for failing to be explicit about how exactly bodies should collaborate, and on what, and treating collaboration as an end in itself rather than a means. Williams exonerates the Government on this charge, insisting that the bodies themselves should have answered the initial questions of what and how, but it does suggest that Government has not be consistent in its efforts to encourage cooperation, for example in its use of grants. And so the Assembly’s long love affair with voluntary partnership and collaboration is at an end. Restructuring is the new answer, at least in the critical area of local government. All political parties seem agreed that there should be such a restructuring and even opponents seem half-hearted in their opposition so far, despite the fact that the costs will be large – far larger, I suspect, than Williams estimates – that service quality will inevitably drop, at least for some years, and that the scarcity and stress of ‘austerity’ offer the worst possible climate for massive, disruptive change. But is the picture as hopeless as Williams suggests? Let’s return to the question of the efficacy of cooperation between public bodies, with the help of Richard Sennett. altruism: A gives B something (for example, blood) as a gift, the only ‘reward’ being internalised, for example as a feeling of well-being or satisfaction, rather than received externally, for example as praise or thanks. win-win: A offers something to B, with B reciprocating in some (not necessarily the same) way, by means of negotiation. An example: Adam Smith’s ‘invisible hand’ of the market. The deal is not necessarily formal, or synchronous. Sometimes difficult to achieve when goods are scarce. differentiating: A and B meet socially in a dialogic encounter, they discover differences and mark out distinctive territory, celebrating the distinctive contribution of each and aiding self-understanding. zero-sum: A plays and wins, at the expense of B. However, both may have had an equal hand in arranging the field of play, and at the end B will usually be left with something with which to play again, rather than literally zero. winner-takes-all: a competition, following which A wins, leaving nothing to B, who is destroyed. Reciprocity is reduced to zero. Sennett sees cooperative activity as spread around the first three of these categories. The value of the categories is that they help show that ‘cooperation’ is not all of one type: it covers numerous different kinds of relationship. Sennett assumes that A and B are persons or bodies that are autonomous and self-accountable. Public service bodies, though, find themselves in a more complex situation: they’re normally accountable to a higher authority, often a government, and they also have a direct relationship with the public they serve; in other words, they have interests other than their own to consider when they enter into partnership with other bodies. So what are the potentialities and the limits of cooperative endeavour between public services? What are the best conditions for likely success? Here are some of my thoughts, based on twenty years and more of trying to lead and participate in collaborative activity shared by several public bodies: it’s a sort of alternative list to the rather limited one offered by the Williams report in section 2.106. First, and most important, the participants must themselves wish to work together seriously. They should desire to do so, rather than feel obliged to do so by others, including higher authorities like governments. I suspect that many of those responding to the Welsh Government’s ‘Making the Connections’ sermons did so reluctantly, like surly schoolchildren, investing little personal or institutional resource into the project. It helps enormously if you work in a context or profession that itself places a high value on cooperation as a natural or even preferred mode of doing business. I always counted myself lucky that librarians and information professionals, by inclination and training, tend to be naturally collaborative if not altruistic, in contradistinction to some other professions that value competition and welcome conflict. Trust is the most essential ingredient of successful collaboration. Often trust is best nurtured over a lengthy period of time. The most productive cooperative group I belonged to had existed for over twenty years; its members knew one another well and had learned to trust one another through a long history of interaction. The more trust exists, the more chance there is of extending the reach of Sennett’s win-win cooperation and even of exploring the possibilities of altruism. Trust is a personal characteristic, of course, but it’s capable of being transferred to an organisation. The further up Sennett’s spectrum you can afford to go the more you can achieve, and the less it matters that the relationship between partners is asymmetrical, with stronger members more capable of contributing but also more able to benefit. Though, as Sennett’s differentiating category show, it’s possible to operate a partnership successful at a lower cooperation level as long as all partners acknowledge their strengths and weaknesses, and the implications those strengths and weaknesses bring. As the Williams report says, it’s essential to be clear about what cooperation is intended to achieve, and why: to produce an improved service? to reduce partners’ costs? Next, what objectives or projects offer suitable material for collaboration? They may or may not be ambitious, but they should be practical, not involve costs that cancel out their value, and be acceptable to those to whom the partners are accountable. An analysis of possible fields of cooperation often concludes that collaborative action may work best not in sensitive areas of regular, ongoing core services, but in new developments: projects that seek to provide something innovative and of large public benefit. If they have any validity these guidelines suggest two main conclusions. First, a government can’t ‘command’ cooperation from other bodies. They, and especially those leading them, must have a genuine desire and interest in becoming partners with other organisations in a common enterprise. The organisation I belonged to responded to ‘Making the Connections’ in several ways, but all of them were no more than artificial window-dressing, designed to show compliance and willing; we pursued our real cooperative projects because we had a strong desire to do so and a strong belief in their efficacy, and not because we were instructed. That isn’t to say that governments can’t do their best to instil and encourage cooperative cultures in the bodies they fund. Therefore, as the Williams report concludes, government initiatives like ‘Making the Connections’ were never going to result in a coherent and effective system of cross-border collaboration that would replace the need to consider other ways of reducing costs and improving services. Had this been realised earlier local government might have been restructured years ago, at a much more suitable time than now. Second, in the right circumstances cooperation between public services can work much more effectively than the Williams report appears to believe. It depends critically, though, on the presence of key cultural and leadership assets, the greatest of which is the ability to trust other people. Trust is one of the three sides of Sennett’s ‘social triangle’ of the ‘old economy’. He quotes William James as saying that when we trust we are ready ‘to act in a cause the prosperous issue of which is not certified to us in advance’, and he himself likens trust to tools ‘you are willing to use even though you don’t quite know how they work’. Trusting others in cooperative endeavour can be a way not just of achieving what you can’t achieve alone, but of taking a step into the unknown, of nurturing innovation in a climate of uncertainty. In a competitive environment, it’s difficult for organisations to make the initial disclosures needed to build trust. That’s one reason why brokers can be so helpful. Did the Welsh Government invest in any mechanisms to match potential partners and help them develop collaborative relationships? Yes, ‘Together’ is a fine and encouraging read…. in the tradition of ‘Bowling Alone’, ‘The Spirit Level’ and more recently Michael Sandel’s ‘What money can’t buy”. We have to believe that these books will eventually change attitudes and influence policy, even when the evidence seems otherwise. This addresses a key area of public policy. Successful collaboration between groups or organisations (or teams within the same organisation) can depend upon the relationship existing between key people in the different bodies. If the desire to work together is not present then whatever steps taken will be token. Any nudge or directive towards collaboration needs to consider the barriers that may exist between bodies (including personalities). It is not easy to mandate co-operation. Either circumstances impel or personalities will it.